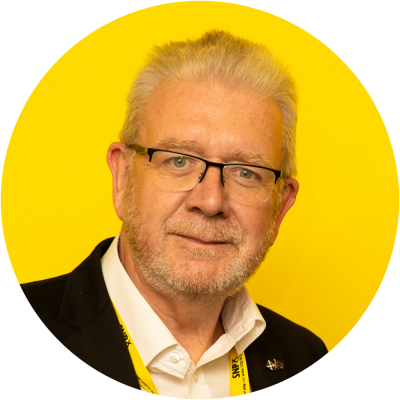 ON this relaxing Sunday morning, spare a thought for the 35 brave souls who make up the SNP group at Westminster and who will shortly be preparing to return there for another week. There is an old definition of diplomats which says they are “sent abroad to lie for their country”. We send SNP MPs to the House of Commons to tell the truth for theirs, but that is a hard job when most of the other 615 members try to drown them out with catcalls and insults. And in recent weeks, they have also had to suffer another indignity – being part of the most watched farce on television. On Thursday morning, I took part in a long interview for a BBC Radio Wales series on the history of devolution. There will be many more such programmes over the next few months as we celebrate 20 years of our own parliament. But there is further reason to celebrate every day, given the dramatic contrast between what we have established in the last two decades and the decayed Dickensian theme park of past (and very past it) procedures and attitudes which characterises the so-called “Mother of Parliaments”. In 1999, I was one of the founding members of the Business Bureau of the new Scottish Parliament. This was itself an innovation, allowing daily business to be decided by all the parties, not simply dictated by the government as at Westminster. But we also had the task of setting up the daily procedures of our new institution. The first Labour Bureau member was Tom McCabe, a formidable Lanarkshire politician who sadly died four years ago just before his 61st birthday. As we worked together, I developed a huge respect for him. When we did a deal, the deal stayed done. Some of those early deals were about embedding best modern democratic practice, which meant that we were very wary about simply copying or adapting bad old Westminster ways. Accordingly, Tom and I, with Iain Smith of the LibDems and Lord James Douglas Hamilton of the Tories, who were our other Bureau colleagues, resisted – sometimes gently and sometimes bluntly – those who wanted, for example, gowns to be worn by the presiding officer, or the mace processed into the chamber. I hope that we were successful in helping to put in place the foundations of a modern democratic institution, building on the work of the Constitutional Steering Group which had already produced modern standing orders. I know that all our successors have continued doing that job. Best modern democratic practice does not include having a man in a gown sitting on a massive green leather throne bellowing his lungs out and roaring “unlock” at regular intervals. It isn’t people trooping through dingy corridors and being counted doing so, especially as in virtually every other parliament in the world members press buttons to vote and consequently get through more business in an hour than MPs manage in a week. An institution that regards marking preferences on paper as an innovation – presumably they would have been more comfortable using vellum for an intervening century or so – is not an institution that can command much respect amongst ordinary 21st-century digital citizens. Nor can one which is – during a time of ongoing and damaging austerity – going to spend several billion pounds to repair itself because it leaks water (as well as information) like a sieve and its bells (bells!) are in danger of falling out of their towers. And all that is just the set for what is played out in the place – knights of the English shires mouthing what used to be called saloon bar prejudices and doing their best to stop essential decisions being made that would prevent the worst economic and social crisis in several centuries. Politics, a Texas commentator once observed, is showbusiness for ugly people. I don’t claim that the Scottish Parliament is a beauty parade either in terms of its members or all the ideas put forward (we had one Tory this week backing the wholesale privatisation of the NHS). But it has sought to be as efficient and effective a servant of the Scottish people as it can and to be an exemplar of modern decision making. The opposite is true of Westminster, which is yet another reason to put all our democratic eggs in the Holyrood basket and have done with any dependence on, or involvement with, that House of Horrors by the Thames.